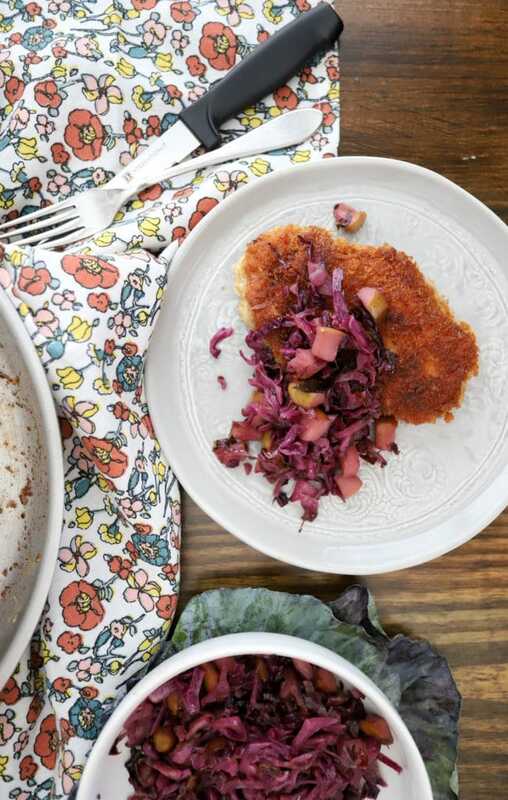 First, we’ll start the cabbage, then fry the pork while the cabbage simmers. The whole meal will be done in 45 minutes, so it works for a weeknight even though it feels a little bit special. 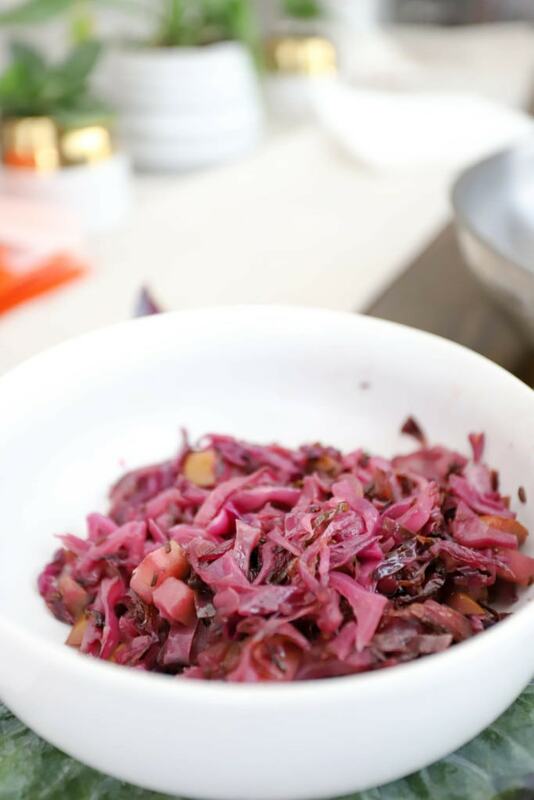 Grab some red cabbage, an apple, onion, apple cider vinegar, chicken or veggie stock, and caraway seeds. You’ll need a few pinches of salt, too. 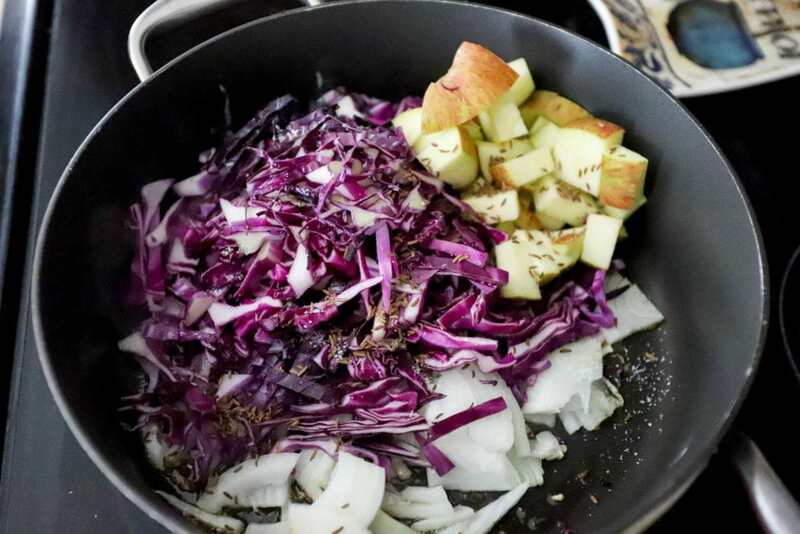 Slice the cabbage and onion and chop the apple, then put all three in a skillet with the caraway, some salt, and a drizzle of olive oil over medium-high heat. Stir the veggie mixture together for five minutes to let the onion soften just slightly, then pour in the stock and vinegar. Turn the heat to low and let the apples and cabbage cook down while you make the pork, stirring every few minutes. And here they are after I pounded them thin. 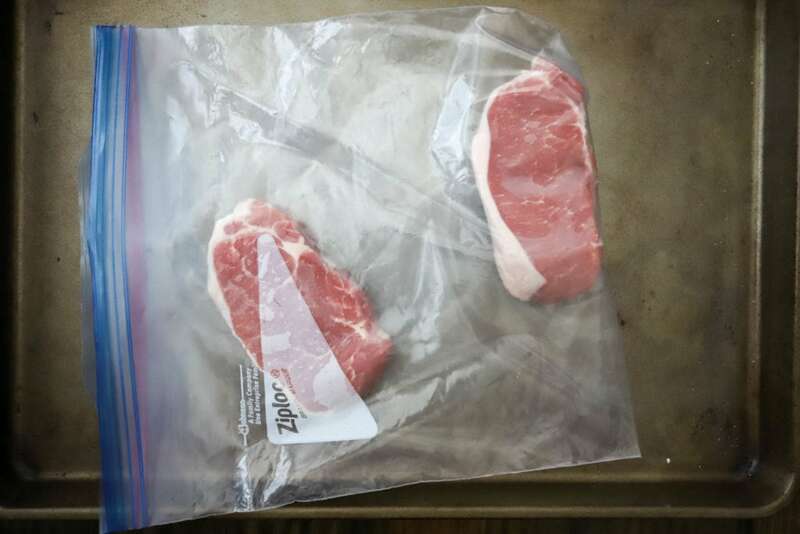 Not huge and paper-thin, still with some meatiness to them. Next, set up a breading station. 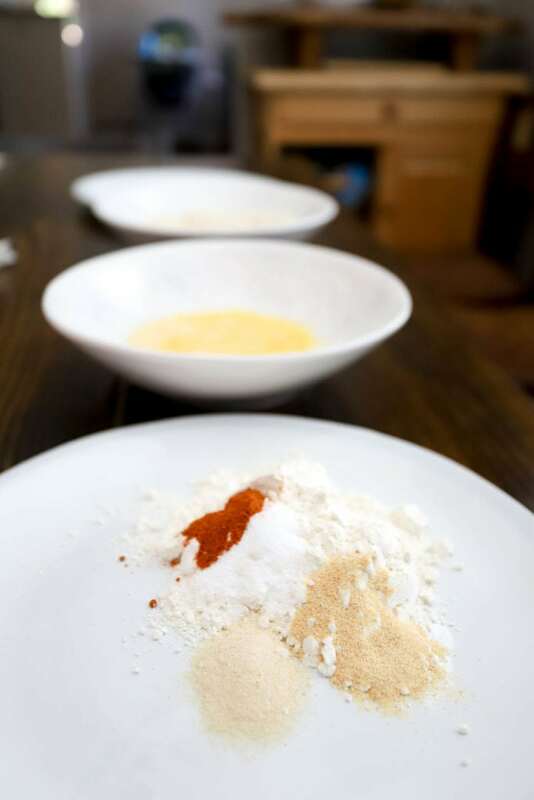 Mix flour with onion powder, garlic powder, salt, and cayenne pepper in one dish. 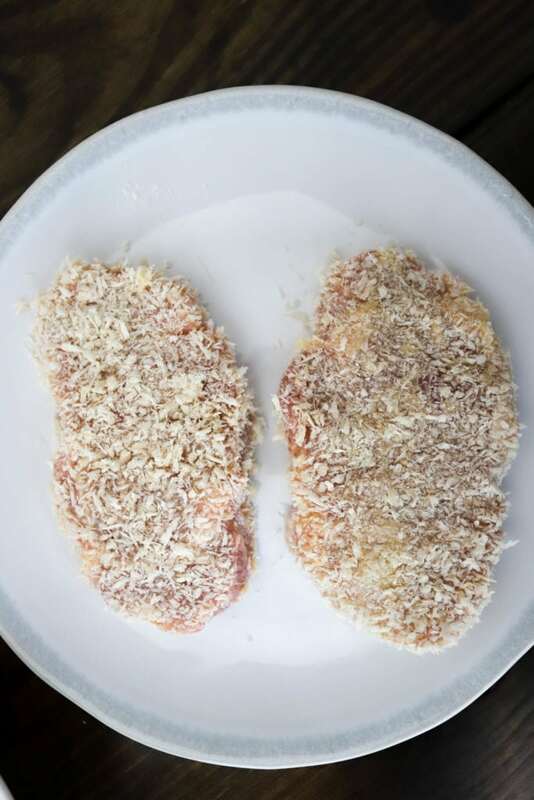 Beat an egg in another, and make a third dish with some panko bread crumbs. Bread the pork by dipping it in the seasoned flour, then the egg, then the panko. 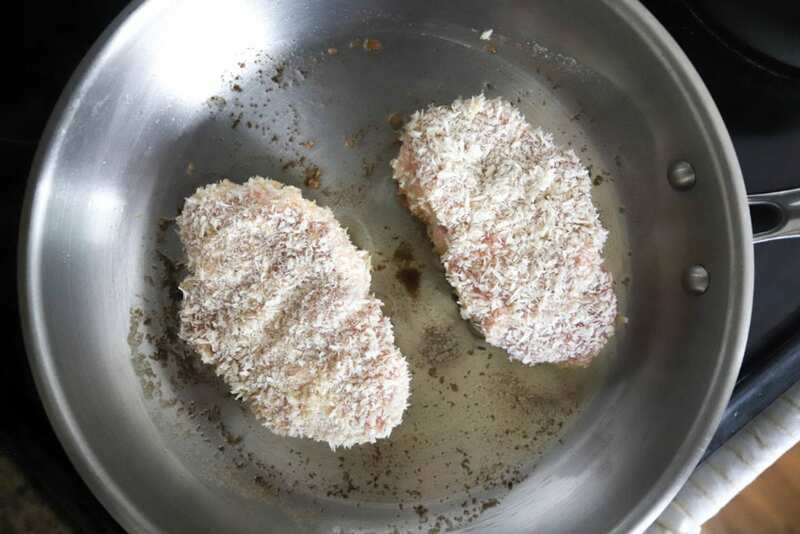 Press as much panko as you can manage into the pork, then place the breaded chops on a plate to rest while you heat a skillet for frying. Preheat a skillet with a combination of butter and olive oil to medium heat until the fat is hot but not smoking. Add the pork and let it cook without disturbing it so the crust will stay together. When the pork is brown on the first side, after 5-7 minutes, flip it and continue to cook until nearly cooked through and brown and crispy all over. 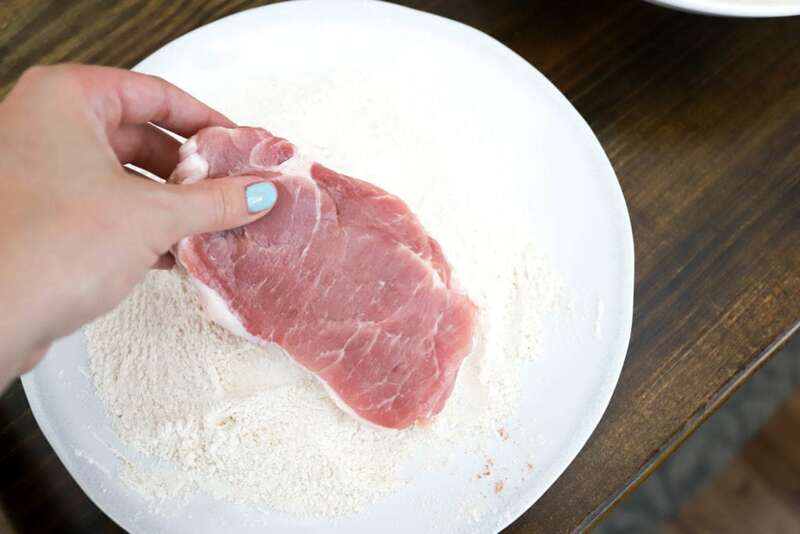 The key to making sure the pork is cooked through is allowing those 5-7 minutes on each side for cooking: if the crust browns before then the pork will be underdone, so turn the heat down if the breading browns too quickly or turn it up if the pork doesn’t sizzle when you add it to the skillet. 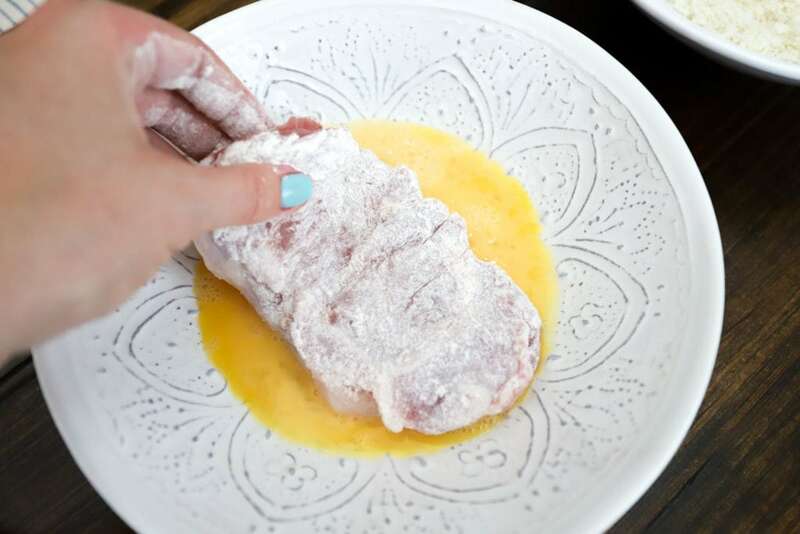 Sprinkle the pork with salt lightly right before you serve it. 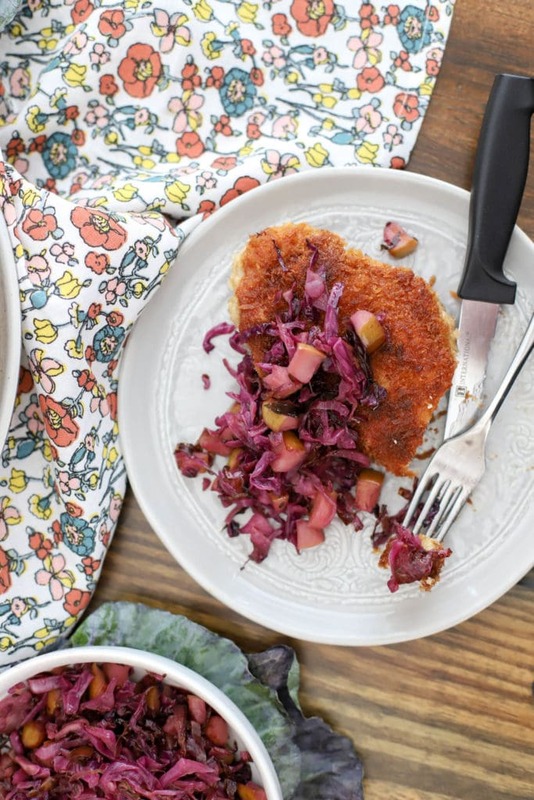 Check the apples and cabbage for doneness – they should be soft with just a bit of liquid left in the skillet. Taste them, add salt to your preference, and serve! Like I said, perfect for the season. The textures and flavors here are so interesting too, crunchy pork with sweet apples and little bursts of spice from the caraway seeds. We ate this with a dollop of spicy mustard on the side and that was a GREAT idea, bonus points if you have a super grainy type of mustard on hand. 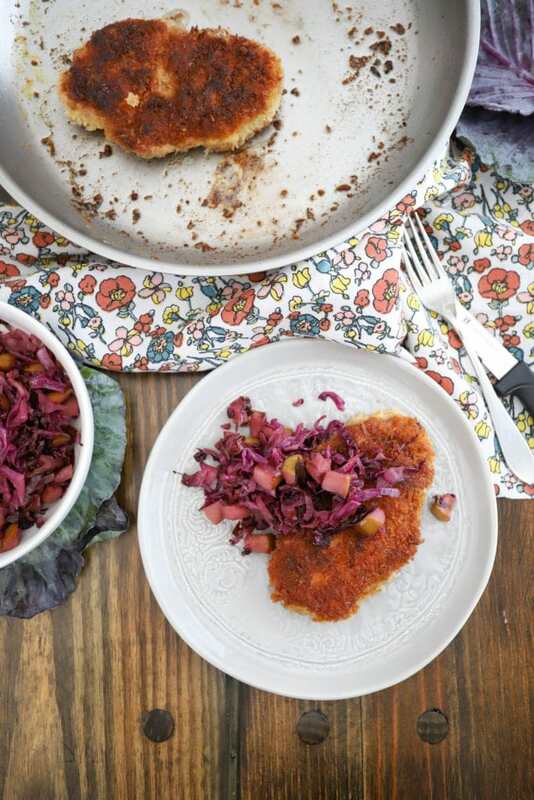 I’m thinking that we need some kind of cutlet dinner idea once per month, or at least once per season – right? Start the cabbage. 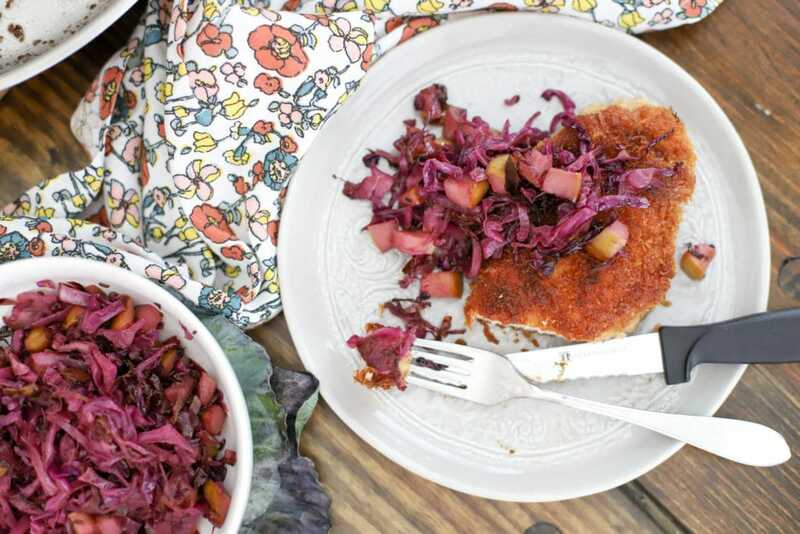 In a medium-sized skillet over medium heat, add the onion, cabbage, apple, and caraway seeds with a drizzle of olive oil and a sprinkle of salt. 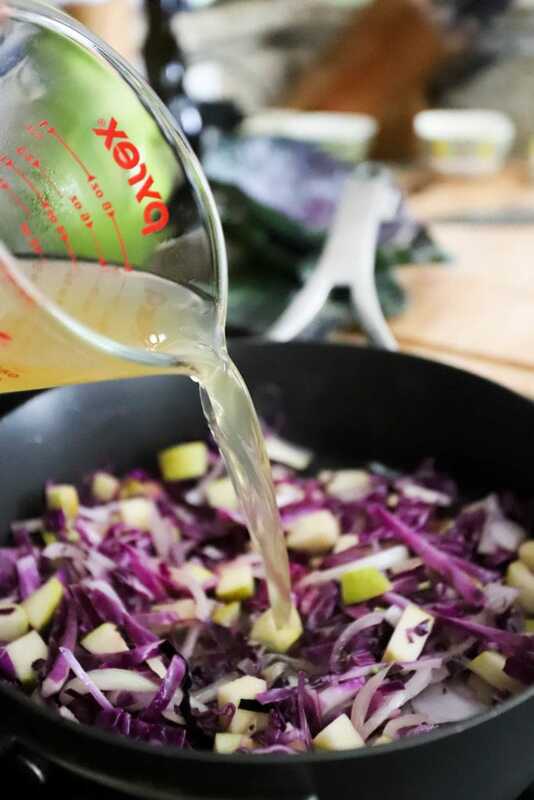 Stir the mixture together for about 5 minutes to soften the cabbage slightly, then add the chicken stock and apple cider vinegar to the skillet. 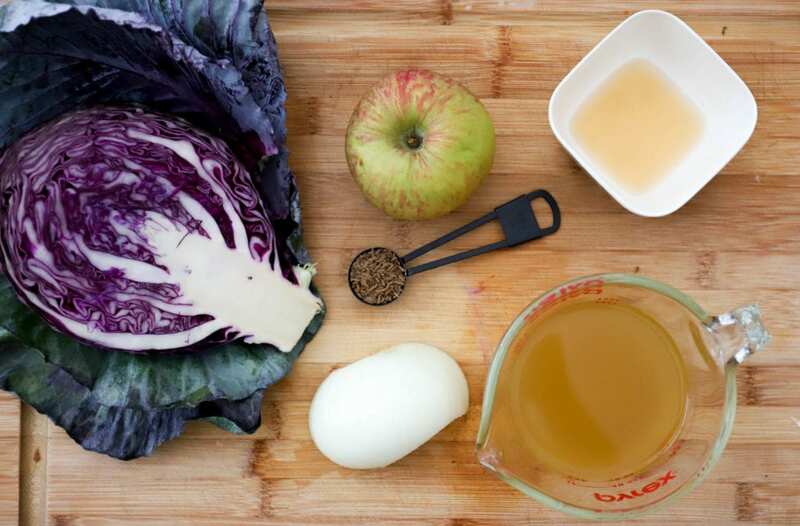 Reduce the heat to low, and simmer the cabbage for 20-30 minutes until most of the liquid has absorbed and the cabbage and apples are tender. 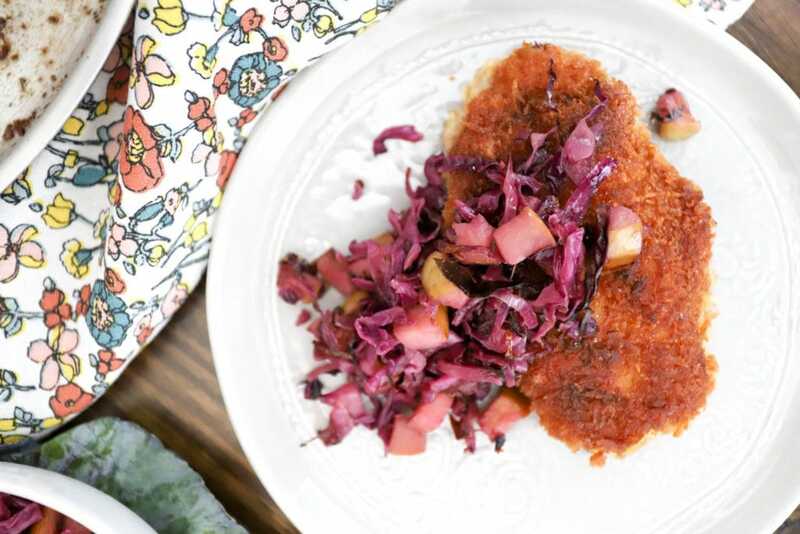 Meanwhile, make the pork schnitzel. 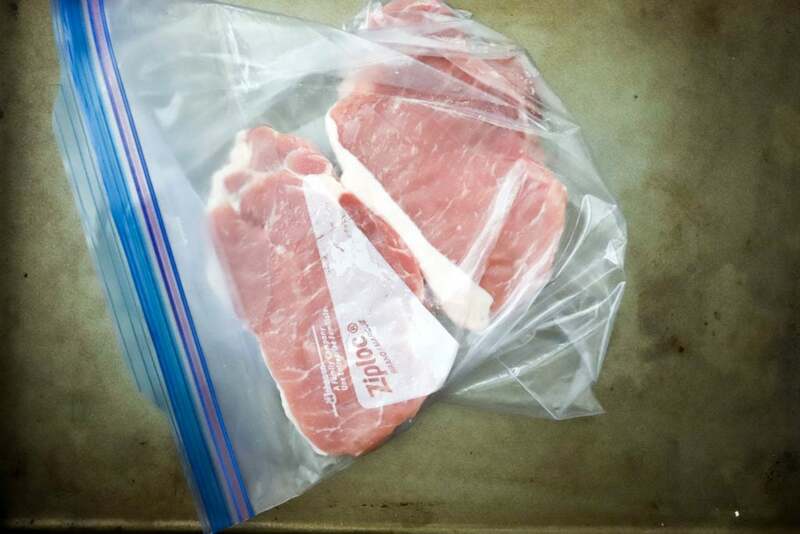 Place the pork chops in a zip-top bag and pound with a meat mallet or heavy skillet until about doubled in size and ½ inch thick. Prepare a breading station with three shallow bowls or plates. In one, combine the flour, onion powder, garlic powder, salt, and cayenne pepper gently with a fork. In a second, lightly beat the egg. In a third, add the panko. Bread the pork by dipping each chop lightly in the flour mixture, then the egg, then the panko, pressing on as many bread crumbs as you can to form a crust. 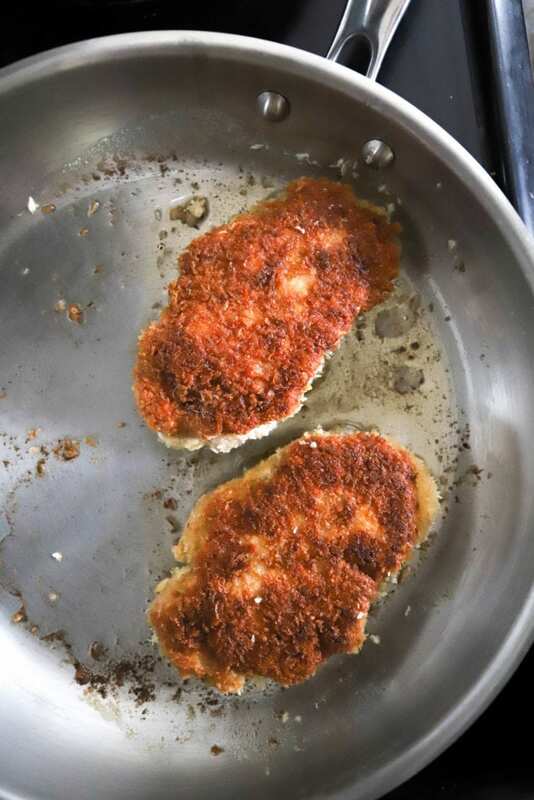 Place the breaded pork on a plate to rest while you heat the skillet. Preheat a second skillet with the butter and olive oil over medium heat. When the butter foams and browns slightly, add the pork (use two skillets if you have a small skillet, or do this in batches so the pork doesn’t touch) and let it sizzle and fry. Don’t move the meat except for one time to flip it to allow the crust to hold together. Flip the pork after about 7 minutes and cook for 5-7 minutes more until golden brown on both sides and cooked through. 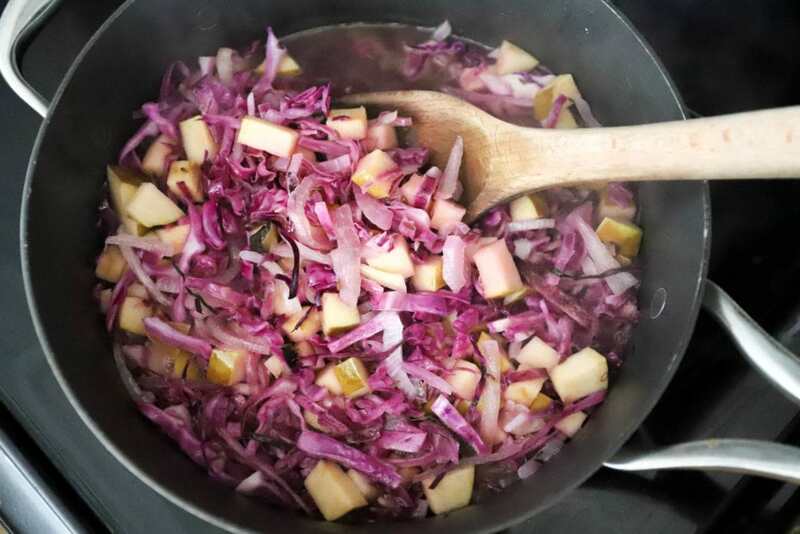 Taste the cabbage mixture and add a few pinches of salt and pepper. 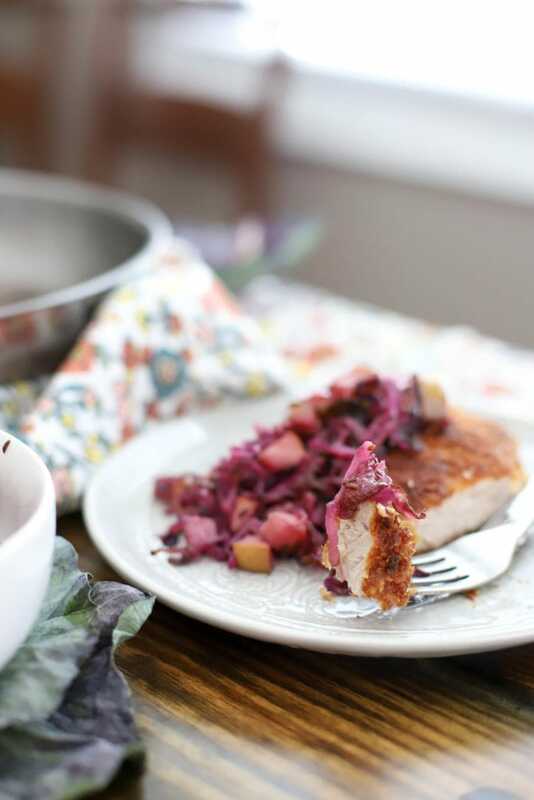 Serve the pork topped with cabbage and apples. Best with dark beer. Enjoy!